The whole concept of equality and social inclusion was one of the main tenets of my upbringing, passed down by my parents. Having been brought up by immigrant parents who worked incredibly hard to be able to provide their children with a good education and opening the doors of opportunity, I have now come to realise how my early life shaped my future aspirations and goals. As a young lawyer practicing in human and civil rights, I worked with people from a wide spectrum of backgrounds. This experience provided me with the opportunity to combine my passion for business with my dedication to advocating the rights of others. Todayas the Co-founder of Contracts IT, an IT workforce solutions consultancy headquartered in the UK, my personal values and experiences have translated into the company ethos, shaping the manner in which the company’s workforce thinks and operates when finding the best talent for organisations in the private and public sector and on a global scale. It is particularly heartening that we have been recognised as “agents of change” within technology workforce staffing and talent solutions. This corroborates the company’s vision and purposeof operating in the way that it does. It reignites the passion and vigour with which the company carries out its inclusive recruitment practices, supplementing these with diversity initiatives and solutions. Workforce diversity is still work in progress however,having just returned from the US, it is interesting to observe how the concepts of workforce diversity (diversity and inclusion) and market place diversity (supplier diversity) have evolved; both are quite different notions with stark parameters demonstrating the US to be quite distinct in both. They have gained much traction, have different strategies and have proven to provide companies with a real competitive and commercial advantage. Inclusive procurement is another model which empowers organisations to introduce innovation and to drive business growth. It is a well-entrenched phenomenon that has been taking place over the past forty years. Most of the major corporates in the US such as IBM, Accenture, Apple and Google, are completely in tune with the need to promote this; they understand the richness that comes from embracing diverse supply chains whilst they witness the thriving social and economic impact it has on their organisation. Shaped by its unique history, the US is zooming ahead with initiatives to support the social, economic and political landscape of the United States, where minorities (underrepresented groups) will be the new majority in the next 30 years.There were some great takeaways in comprehending the importance of growing and sustaining minority suppliers within corporate and public sector supply chains and the attentionto talent diversity – which underpins both concepts of diversity. Yet, this is something that requires further showcasing in the UK. It is a real business imperative that needs to have a bigger platform. The fact that this is a growing reality which is not embraced by some organisations here in the UK, demonstrates a sense of short-termism compared to those innovative businesses which are essentially pioneering ahead, prospering with the benefits of diversity of thought. Different perspectives, backgrounds, religions and cultures provide a rich mix which disrupt, invigorate and bring out better yields. Thesein turn translate into better commercial outcomes for their organisations. At Contracts IT, we enable and facilitate greater success, competition and attainment by stimulating different behaviours, different types of leadership and different attitudes. What we do is simple; we are championing difference in the world of technology recruitment because we believe it is what makes organisations stand out amongst their competition and the best place to be able to meet the challenges of the future.Not only does it have societal benefits by making companies more inclusive but we need to realise that this is now less about ethics and more about the bottom line. Naheed Afzal is the co-founder of Contracts IT. 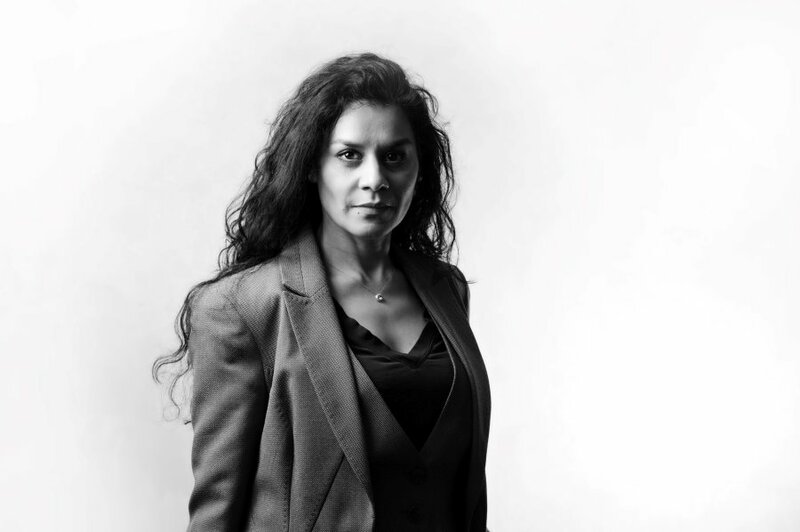 Naheed is a long-time advocate for equality, diversity and social inclusion across all sectors of society and industry. She recognises and helps young women progress up the career ladder, fully aware of the benefits that women can bring to the workforce and the importance of women being represented at every level in every organisation. Naheed has been very fortunate to have forged a successful career doing something which she is truly passionate about and where she can make a real difference to others.